Looks around and sniffs air. Wildly flails at the enemy 1-3 times, dealing 197 Beast damage per hit. A close relative of the much rarer Hall Monitor. 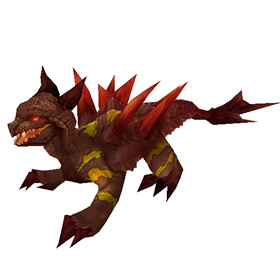 Very useful when battle with critters to level up other pets! It can restore health when killing, which is so practical. Great against critters. I use him as a tank for critter fights. He does good damage and can heal himself a bit. Paired with Kun-Lai runt, these two are beast against any critters teams. I got a rare on my first go too - I love this little guy, the colouring is beautiful! 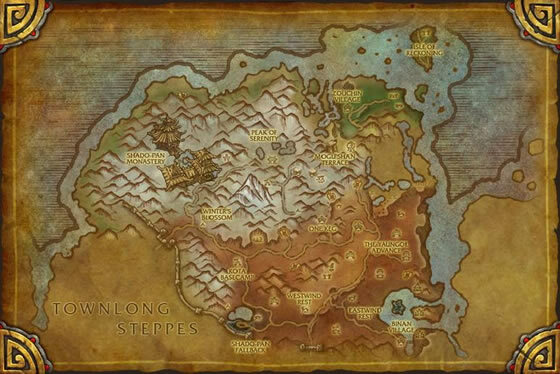 Looks like they travel 3 in a row and share rarity like the Horned Lizard in Uldum. The previous comment was a clue so I went to test out the theory. xD Lucky Bronxthug! You are so lucky to find a rare cluster! Really crazy, got 3 rare in a row. They were in a group, walking with eachother. The first one I got was a rare. They were pretty easy with my level 20 squad. So, I healed up, went for more xp. BAM, another rare. So F it, I'll shoot for the trifecta lol. Got it. 3 rares in a row. Anyway, found them at Inkgill Mere, just north of Binan Village in Kun-Lai Summit. While stationary, the plains monitor will continuously flick its tail back and forth. From a distance this mimics the appearance of swaying tallgrass, camouflaging the lizard from aerial predators.